Konami has confirmed that it is bringing Yu-Gi-Oh! Zexal World Duel Carnival to Europe on June 26th. 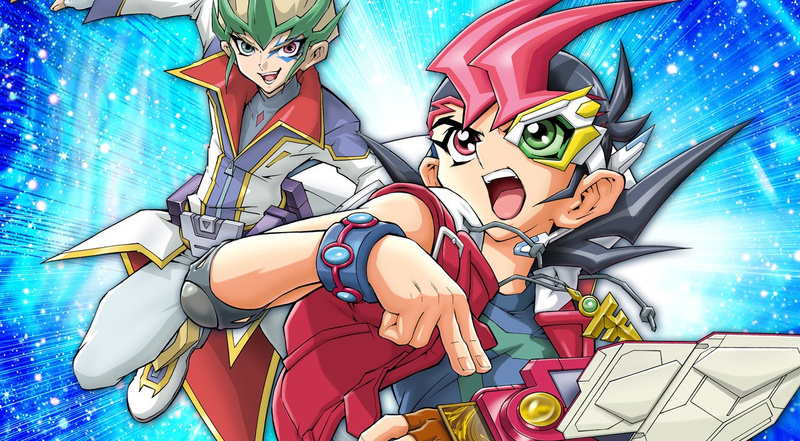 The first entry in the card-battling series to hit the 3DS, Zexal World Duel Carnival launched in Japan at the end of last year and is based on the Yu-Gi-Oh! Zexal anime and manga. This is also the first time that the Zexal universe has been used in a video game. Konami has confirmed that the game will launch at retail and on the 3DS eShop as a digital download. Are you a long-time fan of the Yu-Gi-Oh! series? Are you interested in playing this on your 3DS? Let us know with a comment. Would like this to come out in NA for like $10. I had one of the GBA games, they are fun enough. about time! I still have the DS(I only have one, misses 6 to buy) and Tag Force series(missing 3) to collect, I love the series and most of their games. @Neko_Chan We've only had confirmation of the Euro release so far, that doesn't mean a US release isn't happening. Wow, took them quite some time! I was wondering when they'd finally release a new Yu-Gi-Oh! game on a Nintendo console (Over The Nexus was the last one, and that was for DS, in 2009). I like Yu-Gi-Oh! (though typing it is a pain...), but paying 40€ for playing with every card available at game release point is a much better deal than buying the actual cards in hopes of getting good ones. Yugioh's still a thing? That's cool I guess. I might buy this if it comes over. The World Duel Carnival was a pretty awesome arc. Where is the Online mode ? @Phantom_R 5 months to be exact. Not trying to be nip-picky just a year is a lot longer time frame than 5 months. (Waving fists in air) EUROPE!!!!!!!! (I've been waiting for this game since before it came out in Japan and reside in the US). @Kaze_Memaryu "I was wondering when they'd finally release a new Yu-Gi-Oh! game on a Nintendo console (Over The Nexus was the last one, and that was for DS, in 2009)"
I don't care that it doesn't have online, since I'm not much of a online gamer(People disconnecting, rude people & bad connections in general kinda ruined my online experience). This is nice, I was beginning to think that the card battle game genre was dead since I seen or heard any in over 3 years. @ultraraichu I still see people playing on malls & such a couple of times. It definitely isn't as big as it was before, but people still play it. I've seen a lot of people talk about an online version of Yugioh called Duel Network(or something like that). Personally I don't buy the cards anymore, but I buy the games. Yugioh is probably one of the few card games that interest me at the moment(Besides UNO, but that's more casual than anything), Yugioh just has a lot of different strategies you can do, which is what interests me the most. Granted I can't say anything regarding the XYZs & the new Pendulum summons(From the new show Yugioh Arc V), since I haven't been keeping track with anything outside the 5DS stuff. It looks cool, but its gonna already be 2 sets behind when it comes out, legacy of the valiant and primal origins have both come out since this game was developed, and it doesn't look like were getting dlc anytime soon either. Have they balanced the card game any better? I used to love the world championship games on DS but the later ones really started killing it. They were so poorly optimized duels could take an hour or more just waiting for the lag. They wouldn't patch the games so even on launch day the card list was out of date. Really what got me though was their use of themes. Out of their thousands of cards they'd release expansion packs that had a theme and that basically overpowered any other deck you could build. At any given time there were typically only ever 3 or 4 decks that work. That's boring you have thousands of cards and about 200 are useful. I'd consider it if you can realistically use around half the 5000 cards for deck building. 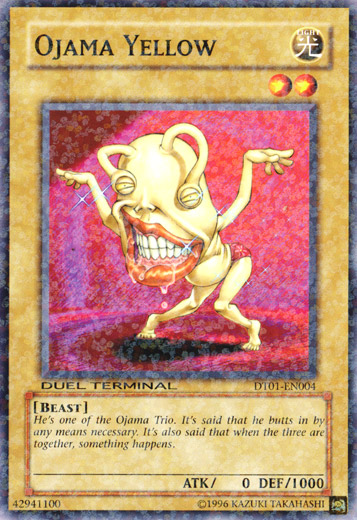 Otherwise yugioh has just become pick the overpowered deck and play everyone else playing the same overpowered deck. @ultraraichu Nah it's far from dead. Last I checked, Magic the Gathering is still a huge thing. People actually make a living by winning tournaments. I Know Yu-Gi-Oh isn't as big as it used to be, but some people still play it, surprisingly. Does this game even have online play? The Championship series and Duel Transer had online... Some are telling me "No" and some are telling me "Yeah". @ColdingLight I've been following the game a bit, and it doesn't have online as far as information I've gathered on other websites. @Shotgunryugan Hahaha, totally forgot about that one! Probably because it was a racing game (kinda). I like Yugioh so this might be a game i am actually interested in. Also am not to bothered that it will be missing some of the recent cards since a lot of the cards would still be new to me. I am a long-time Yu-Gi-Oh! Fan, but I'm not from the Europe.... Bummer. You're thinking of Wheelie Breakers, which was the first 5DS Wii game, I was talking about Duel Transer which was your regular old Yugioh game with just the normal duels(No Turbo duels or Tag Team duels). ....man the characters in this series these days are creepy. I'd kill for a pokemon trading card game with all the latest cards and the ability to download future cards through DLC. I'd take Yu-gi-oh! over nothing as long as it's a physical release though. @Kaze_Memaryu It's ok, the Wii games didn't seem to get much attention, so unless you played them yourself there isn't much to find online. Didn't have a DS at the time, so this was my first actual non spinoff Yugioh game(aside from one of the GBA games). I swear, every character in Zexal wears hair gel. Ill probably get it, but nothing beats dueling network. I'll just be here patiently waiting for NA release. As neat as this is, I kinda wish they didn't make the dueling gameplay look like a GBA game. I'm not saying that there should be 3D models of cards, as that would take too long, but there should be SOME visual smoothness and flair. Or at least a 3rd dimension on the top screen. Even WC 2008 on NDS and "Forbidden Memories" on PS1 had duel fields more interesting to look at. This game could have been on NDS; it looks like the dueling makes 0 use of the 3DS's 3D or anything. @Excep7ional @Shotgunryugan That is cool to know. The only time I heard anything in regard to TCG is when tournament season is around and that's only for Yugioh and Pokemon. Wish there was more TCG video games though (not just Yugioh). Better to spend $30-$50 on a game then unknowingly spend $80+ on your RL dream deck. @ultraraichu I agree with you. I would actually love to play a TCG video game, especially Pokemon, since I was always interested in learning but never took the time to do so. But oh man, some prices on these Real life cards are ridiculous, especially for rare/good ones (mainly Magic the Gathering.) If you want to play a good card game, I suggest you try out HearthStone, from the makers of World of Warcraft. It's a free to play game so it won't really cost you anything. I haven't played it myself yet, but people are always talking about how good and addictive it is. I just checked out the game play and honestly it's such a let down. From what I've seen so far Konami would have been better off doing a Nightmare Troubadour 3ds remake. In a perfect world they would use the manga story line of every game but as it this game should have been released on DS. At least there was use of 3d..I was really excited about having a yugioh game on 3ds but this just was a let down. I guess it'll be cool to play with the new cards through. I personally would love to see Zexal burn, but for those that liked it, enjoy. There is a game on PSN and XBL called Yu-GI-Oh Millenium Duels. I'm not so sure if it's new or not, but I only found out about it today. Some of you guys may be interested if you have a PS3 and/or 360. @Shotgunryugan "Over the Nexus" was the last Yugioh game out in the States and it did not come out in 2009, but 2011. I still play the game but don't care for the turbo duel concept. It is a pain. Also with the fifth season of Yu-gi-oh already on air, this is likely the first and last Zexal game. @Raviel89 Huh, for some reason I thought that game came out before Duel Transer. (Also yeah this is most definitely the last Zexal game, though I'm not sure why the US version is released in September). @Ruceyod SEP 2014 Release, for NA, but there is no Option for a Physical Retail Version, Only going to be able to Purchase it Via the eShop. Everyone does know, That there is No form of, Online Functionability In this game, so for those Hoping to challenge Their Friends online, Sorry, but it won't be Happening. Not playing online doesn't bother me since I never play "Over the Nexus" 2011 online before or now anyway.